Even though the latest OCAJP exam is OCAJP8, the OCAJP7 still the most popular one, at least from the email I receive, I can say that more readers ask for OCAJP7 recommendations and preparation tips than OCAJP8. I have always said the three golden rules of success in OCAJP exam is selecting a good book, writing programs, and doing mock exams e.g. Whizlabs or Enthuware practice tests. In this article, you will find some good OCAJP7 books to deal with the first part. 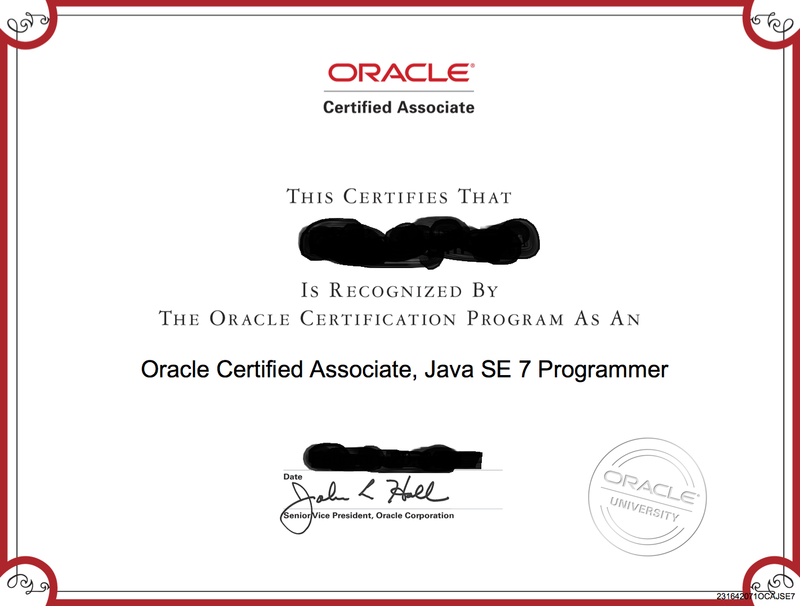 For those, who are new to the structure of Java SE 7 certification, it's now divided into two parts, the OCAJP and OCPJP. 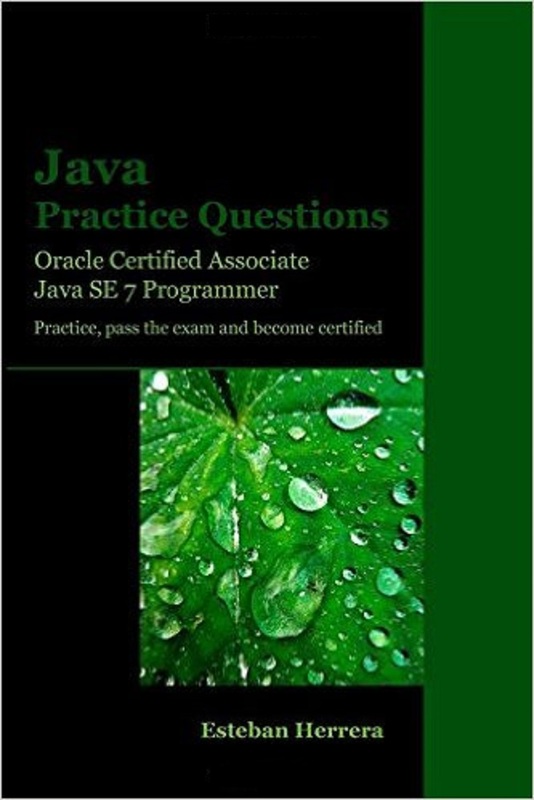 The OCAJP stands for Oracle Certified Associate Java Programmer and it's an associate level exam. The OCPJP stands for Oracle Certified Professional Java Programmer and it's a professional level exam. The difference between them is both on exam topic and toughness. The OCPJP is tougher and advanced than OCAJP. Topics like JDBC and Concurrency are included only in OCPJP, you don't need to read them in order to clear the OCAJP exam. The first one is your OCAJP7, while the second one is your OCPJP7, and the third one is an upgrade exam. You can only give an upgrade to Java SE 7 Programmer if you have passed one of the previous Java certifications e.g. OCJP 6 or SCJP 5 etc. In the current structure, you first need to take OCAJP (1) and only after that you are eligible for OCPJP(1) exam. Now, let's see some good OCAJP7 books for preparation. 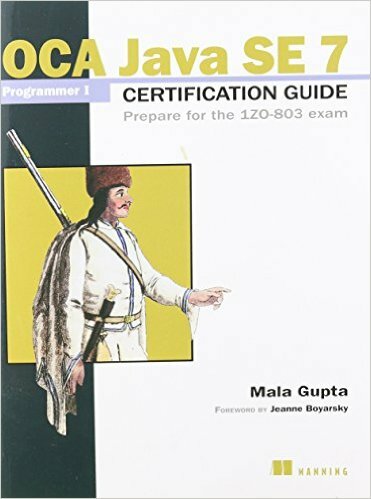 Here are some of the best books to prepare for the OCAJP7 exam with code 1Z0-803, also known as Java SE Programmer I certification. This is an exclusive book and study guide for OCAJP7 book. Unlike previous Kathy Sierra book, it doesn't cover OCPJP topics and focuses solely on OCAJP exam objectives. The author, Mala Gupta himself is OCAJP7 certified developer, so you can expect the first-hand experience. The book covers all exam objectives and focuses on hands-on coding exercise which is quite important to understand the subtleties of concepts. The book also includes full mock exams for the OCAJP7 exam. The book is also well structured and very readable, which is a major plus point. The Kathy Sierra books are synonymous with Java certification books. I have read them when I first appear for SCJP 1.5 exam and many of my friend and colleagues cleared SCJP6, OCJP 6 exam by reading Kathy Sierra book. 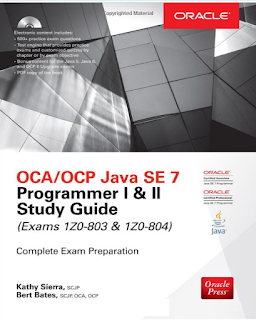 The OCA/OCP Java SE 7 Programmer I & II Study Guide is the latest book focused on both OCAJP7 and OCPJP7. This is no doubt one of the best books for Java SE 7 exam as it covers both OCAJP and OCPJP. 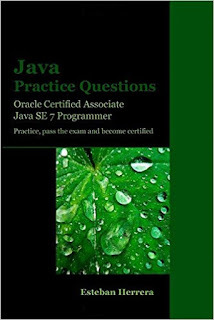 This book covers entire exam objectives of both OCAJP and OCPJP exam, hence it's applicable to all Java SE 7 exam e.g. 1Z0-803, 1Z0-804, and 1Z0-805. In the electronic version of this book, you will not only get the PDF copy of OCA/OCP Java SE, 7 Programmer, I & II Study Guide but also get more than 500 practice exam questions and a test engine that provides practice exams and customized quizzes by chapter or by exam objective. It also contains bonus content for the Java 5, Java 6, and OCP 6 upgrade exams e.g. 1Z0-805 exams. This is not a study guide but a book solely focused on OCAJP practice questions. Since Java certification questions are tricky and you always found two or three answers looking correct, it's important that you practice hard with an exam like questions. I still believe Enthuware and Whizlabs exam simulator is the best for practice questions but if you like a book, or maybe more practice, you can use this book along with that exam simulator to boost your practice. Why Java Certification are worth of money? Does Java Certification help in Job and Career Growth? That's all about the list of best books to prepare OCAJP7 certification, also known as Java SE 7 Programmer 1 Certification. 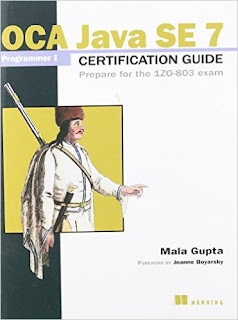 This is the first exam in the process to become Java 7 certified programmer, the next exam is OCPJP7, exam code 1Z0-804 and I'll tell you which books you need to read to clear that exam in the second part of this article. Till then, all the best for your OCAJP 7 exam and don't forget to let us know the result. If you have any question with exam topics or preparation, you can post them as comments.